To find out more about Stefan's influences and visions, please visit www.augenblickcenter.com. Stefan Duerst is best known for his flowing metal ribbon sculptures and metal totems. His abstract organic steel sculptures, formed by heating metal, are distinctive expressions of the experiences that have transformed him. 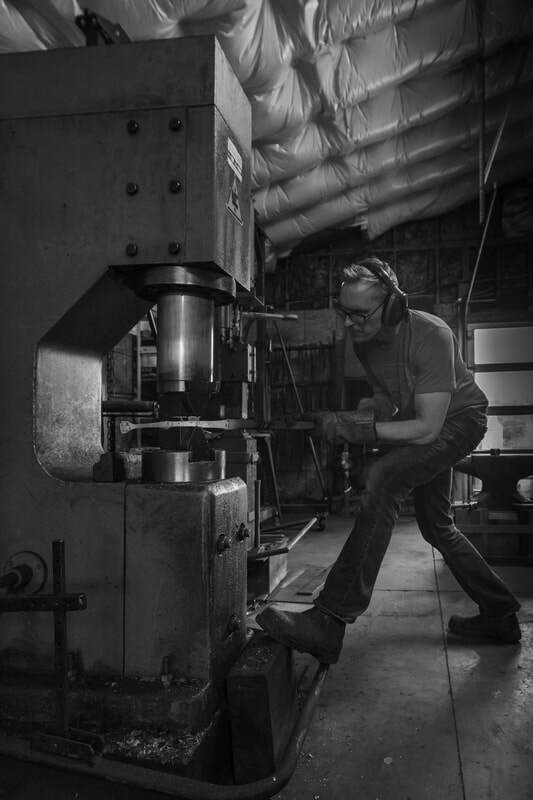 Duerst’s art is influenced by his intensive fabrication and forging training in Germany, the nature at his 60 acre Sculpture Park, and his teaching and practice of Jin Shin Do® Bodymind Acupressure®​. The goal of both his art and Acupressure is to help people reach their own potential and getting reconnected to their innate gifts and talents. My art is an expression of myself and therefore about growth and transformation. Jin Shin Do® Bodymind Acupressure® informs my art and is the guiding principle in my life. 'Jin Shin Do' is translated as ‘the way of the compassionate spirit’, towards oneself and others.